Nearby lightning didn't sway all you Memorial Park Glow Runners on Friday night. 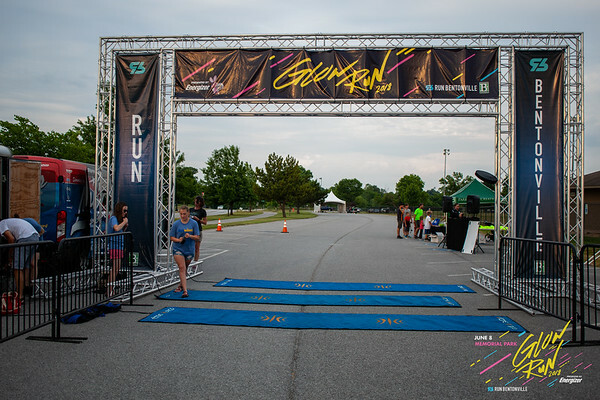 On record as the latest start time to date for Run Bentonville's Glow Run, runners still got their moment to light up the streets and run the 2 mile course. Photos for this race have been paid for courtesy of Bentonville Parks and Recreation. Race participants are granted permission to make any and all prints and to post online as wanted for personal use only. Editing/Photoshoping of photographs are not permitted without photographer's authorization. This authorization pertains to and only to the images that begin with the numbers '18 Glow Run 0001.